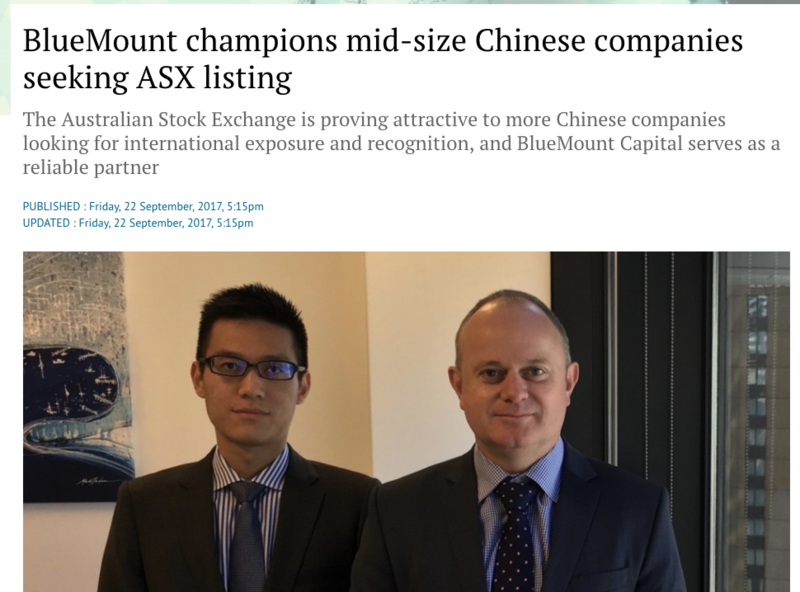 BlueMount Capital was featured in the recent Australia & New Zealand Business Report 2017 in the South China Morning Post. 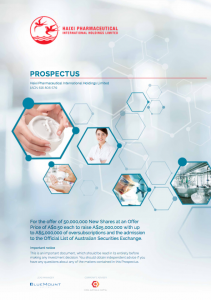 BlueMount Capital is pleased to announce that the Initial Public Offer for Haixi Pharmaceutical International Holdings Limited has opened for investors. 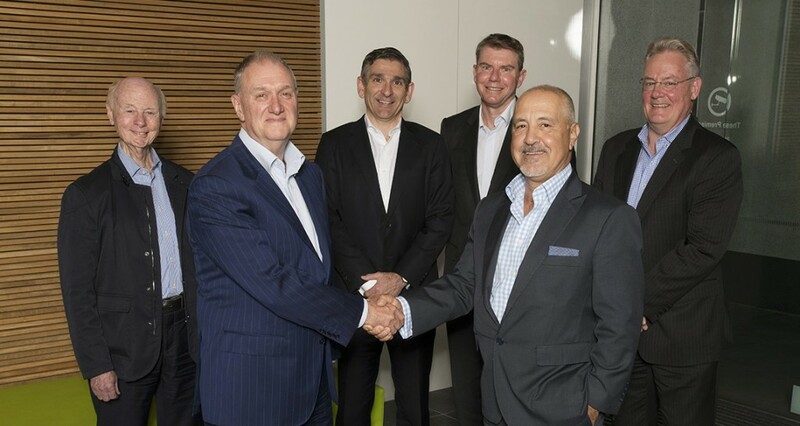 Co-Founder of BlueMount Capital, Mr Barry Palte, said the firm was attracted to Kennedy Needham because of its respected team of professionals, established relationships, 30 year successful transaction history and Melbourne base. Furthermore, the expanded network creates a major new player which is unique within Australia. BlueMount Capital is the exclusive Australian member firm of the International Association of Investment Bankers (IAIB www.iaib.org), an international affiliation of investment banks. 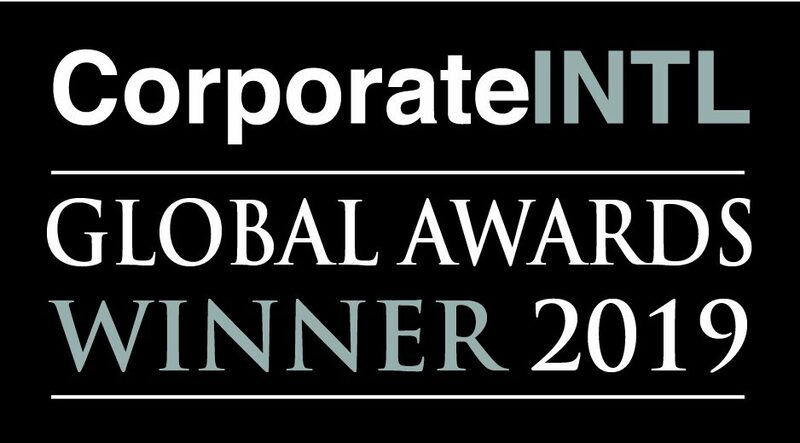 Barry Palte, who is also global co-Chairman of IAIB, said: “The combined Group will be able to draw on a truly national and international network to deliver globally relevant solutions to its clients. With 10 IAIB member firms in North America, Europe, Asia and Australia, and current new member discussions in China, Japan, Korea and Brazil, our exclusive IAIB membership enables BlueMount Capital as a mid-sized national firm to provide agility and capability while offering genuine global reach and service to our clients. BlueMount Capital was established in 2010 with Australian offices in Brisbane, Perth and Sydney. The Group has recently advised on transactions worth more than $1 billion. This includes China Dairy Corporation’s $300 million market capitalisation IPO; the sale of PinkBerry, one of the leading frozen yoghurt store chains in the world, together with a US based IAIB member; and the $69 million market capitalisation IPO of Boyuan, the first Chinese property developer to list on the Australian Stock Exchange. BlueMount Capital also advised one of China’s largest groups on its bids for State Super Financial Services and Greenstone Group, both of which had enterprise values in excess of $1billion. Kennedy Needham is currently undertaking an equity raising of up to $200 million for Dairy Farm Investments. The firm recently acted as lead arranger in the corporate sale of Australian Wholefoods to Patties Foods/Pacific Equity Partners as well as the $35 million corporate sale of Popina Foods to ASX listed Freedom Foods Group. Len McDowall representing BlueMount Capital was privileged to attend the welcome ceremony at the Westin Hotel to welcome Premier Li to Sydney. Premier Li was welcomed by Australian Prime Minister Turnbull and many senior government ministers. Australia and China found unprecedented common ground during Chinese Premier Li Keqiang’s visit to Australia this week. 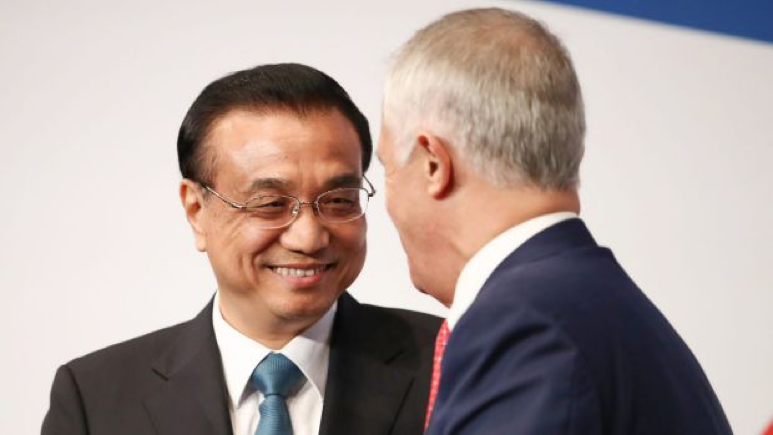 Premier Li and Prime Minister Malcolm Turnbull are statesmen united in opposition to a common foe: trade protectionism. Addressing an economic forum in Sydney, neither mentioned the United States or President Donald Trump by name but the subtext was as clear as the symbolism. With President Trump pledging to protect US business against foreign competition, Australia is being positioned as a partner in China’s opportunistic campaign to be seen as the new defender of globalisation and free trade champion of the world. Premier Li, following Mr Turnbull at the podium, matched his rhetoric, then raised it. He said the China-Australia Free Trade Agreement (ChAFTA) would “show to our region and the world that free trade will deliver benefits to all human beings”. 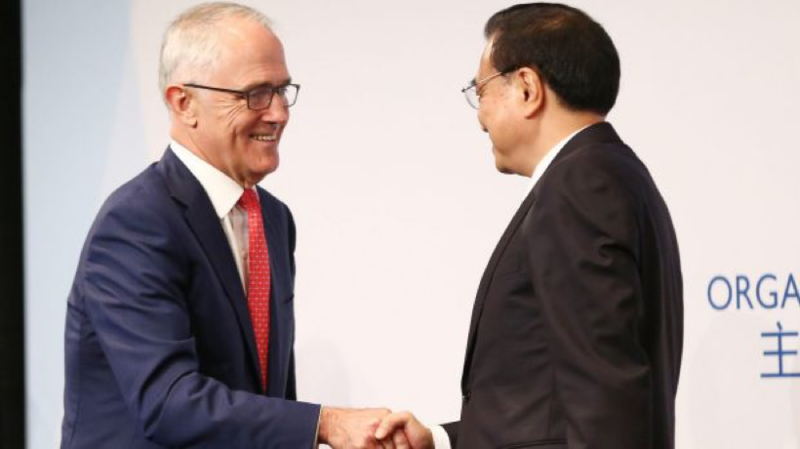 Mr Turnbull said he had spoken with Premier Li about working together to conclude the Regional Comprehensive Economic Partnership, the rival China-led 16-member initiative excluding the US which has usurped the TPP as the front runner for new free trade deals in the region. According to Hugh White, professor of strategic studies at the ANU, this is how America’s long era of leadership in Asia comes to an end. “It is an opportunity for China to rhetorically and symbolically look like it is building closer relations with Australia and the US for the time being is on the outer,” said Merriden Varrall, director of the East Asia program at the Lowy Institute. The Nelson Resources Limited (the Company, ASX: NES) Board is pleased to advise that Nelson Resources Limited has today appointed CPS Capital Group Pty Ltd (“CPS”) as lead broker to raise $5,000,000 by the issue of 25,000,000 new shares at $0.20 each the offer closing on the 31st March 2017. The appointment of CPS a highly successful broker in the resources sector as the lead broker will complement the lead Manager Blue Mount Capital. The Nelson Resources Limited Board has released a Supplementary Prospectus in relation to the indicative timetable of the offer. The closing date of the Offer has been extended to 28 February 2017. A road show will be held during the week commencing 13 February 2017. Please contact info@bluemountcapital.com to arrange a meeting. The Nelson Resources Limited Board is pleased to advise that Nelson Resources Limited has lodged its Replacement Prospectus to raise $5,000,000 by the issue of 25,000,000 new shares at $0.20 each. In 2016, the Company successfully raised $851,500 in seed capital. Its application for listing on the ASX has been accepted and Nelson Resources Limited is now recorded on the ASX upcoming floats section. Nelson Resources (previously Mongolian Resource Corporation), a Western Australian-based gold exploration company, could become a takeover target in 18 to 24 months once it has further developed its gold projects, said executive chairman Adam Schofield. The Australian Securities Exchange (ASX) has just released their revised rule changes that will take effect from 19 December 2016. We note that the changes have been modified to those originally proposed. A single tier spread test requiring at least 300 security holders each holding at least $2,000 of securities. If you have any questions on the new rules or wish to discuss an IPO opportunity please email or phone us.